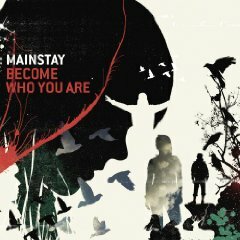 Forming in the suburbs of Minnesota, Mainstay originally started out as a punk trio in the garages of its members. 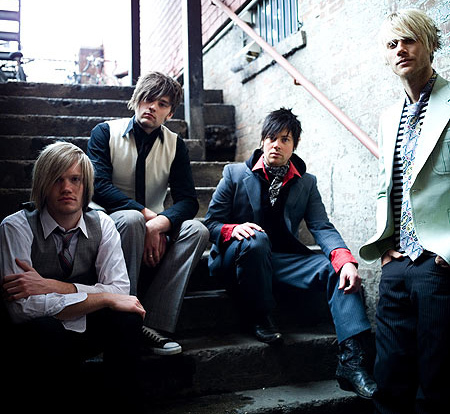 It wasn't until college in Minneapolis that the group -- vocalist and guitarist Justin Anderson, drummer Ryan DeYounge, and bassist Dan Ostebo -- sharpened its style into its current brand of melodic rock with a Christian message. 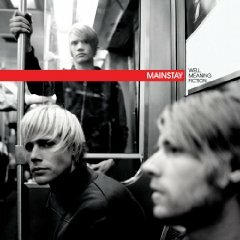 Their 2006 debut album, Well Meaning Fiction, came out of the gate fast and hard, making a resounding impact with singles “Take Away” and “These Pages” before landing the band on the short list of “the year’s best new artists,” compiled by Jesusfreakhideout.com. The debut brought the rockers respect from fans and industry insiders alike for their unflinching willingness to both address the church and make themselves personally vulnerable. 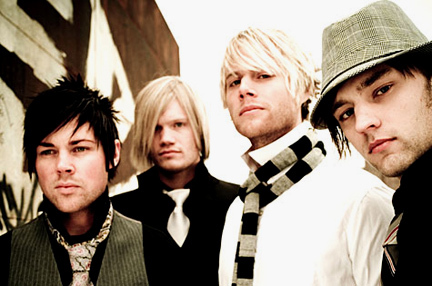 Along with more riveting guitar riffs and madly melodic songwriting, the band's next release, Become Who You Are (2007) continues the boldly open trend, and for all the right reasons. “If we’re going to do this,” shares Anderson, “it has to be about God, about the deeply intimate relationship we’re experiencing. Otherwise, it’s not worth it,” he admits laughingly. so difficult. But all that emotion poured into these songs, and became real pathos that people can actually get their hands around. It’s exciting to me to think that my heartache could be used for someone’s encouragement. “ It is that sacrificial spirit that accounts for the warmly inviting “Island,” inspired by Hemingway’s “For Whom the Bell Tolls,” a softly encouraging word of hope, a recurring album theme. It is a song that will minister to hurting hearts of many kinds, but especially the often overlooked lonely. Anderson openly confesses his own struggle with feelings of depression and isolation, so he finds great solace in the soul power and healing potential of the album’s new songs.